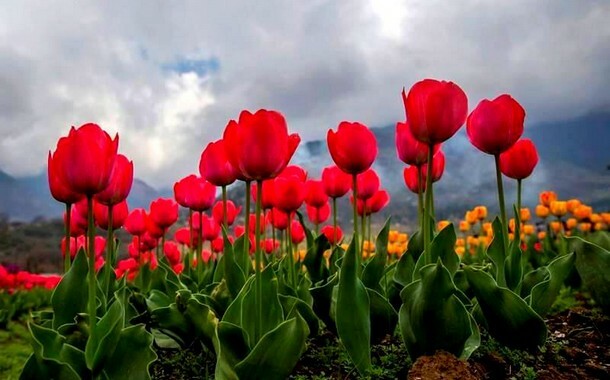 The Himalayas look more beautiful than ever as I wonder how they manage to stay ever so charming. 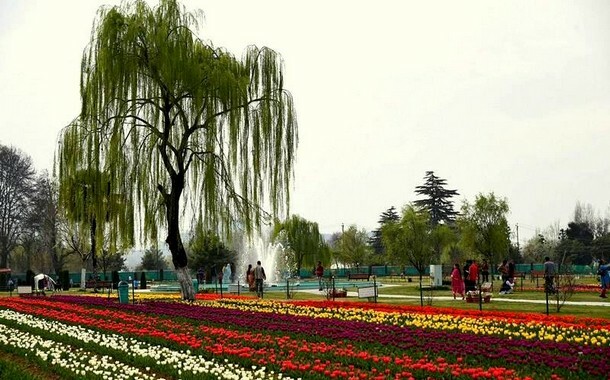 Soft, lilting and euphonious Sufi melodies catch my attention while I lay my eyes on the shikaras that glide harmoniously over the rhythmic sail of the Dal Lake. 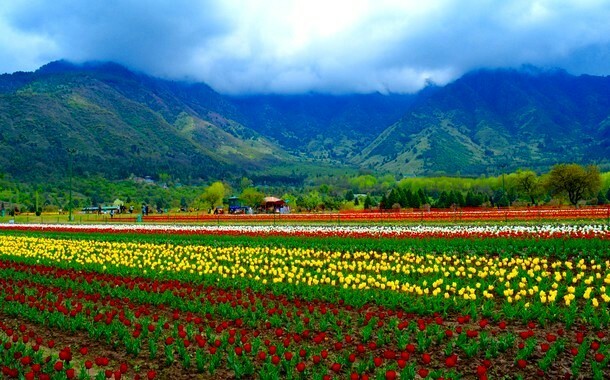 Everything is juxtaposed in perfect geometric symmetry - the mountains, the shikaras and the oarsmen. 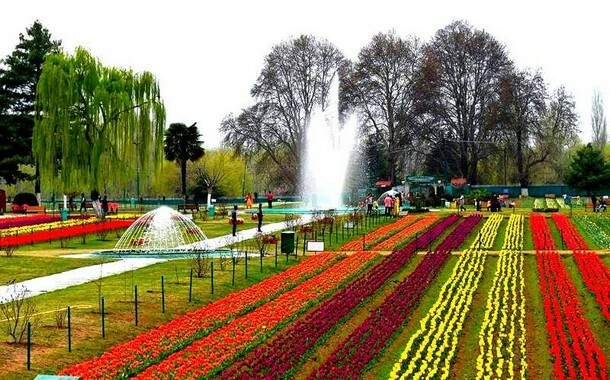 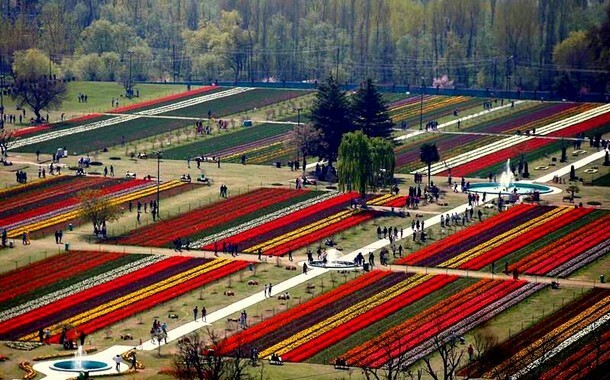 Ensconced in this picturesque set up lies the Tulip Gardens of Kashmir which host a colourful and vivid spring festival. 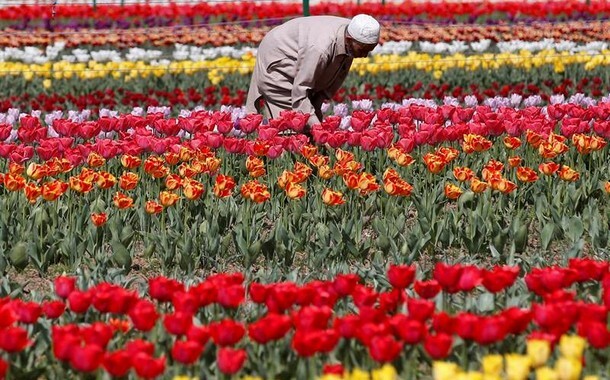 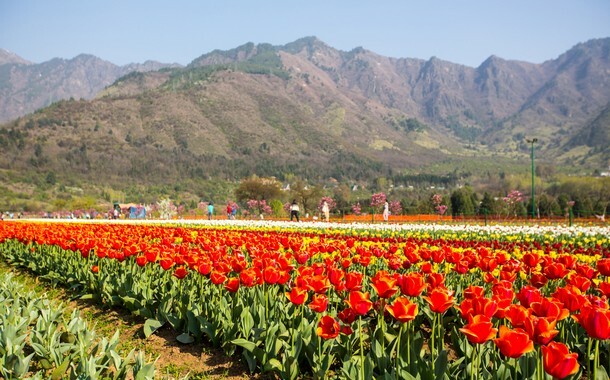 ‘Bahaar-e-Kashmir’ that welcomes spring with over 20 lakh tulips in around 46 varieties is a tulip festival that will scurry away in a matter of 15 days, until April 15. 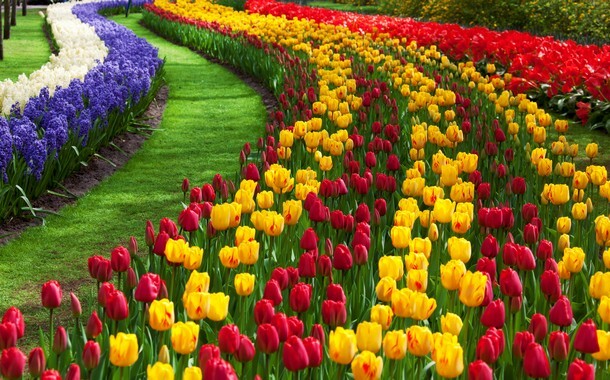 It's now or never again this year! 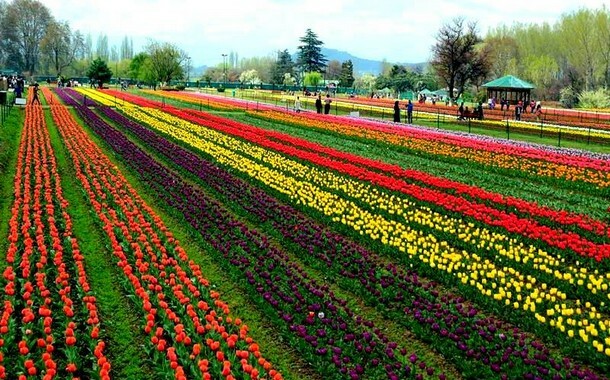 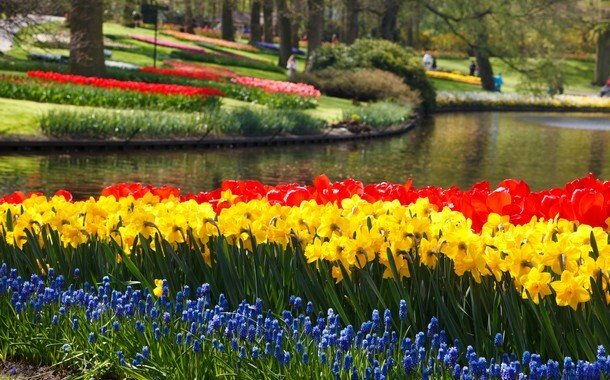 Sprawling over 30 acres, colourful rows of tulips will regale you with all their charisma. 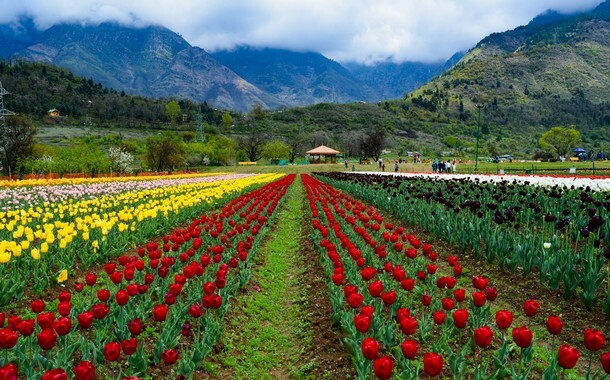 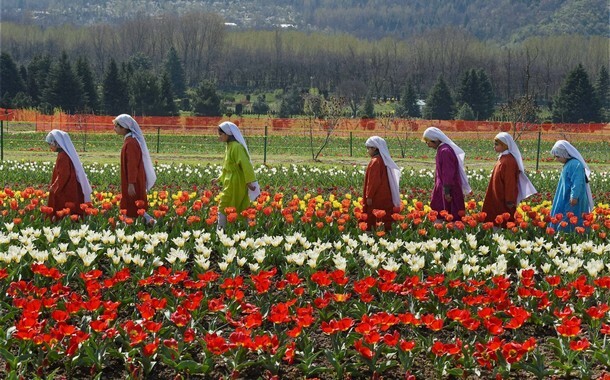 Kashmir is home to Asia’s largest and most colourful tulip garden. 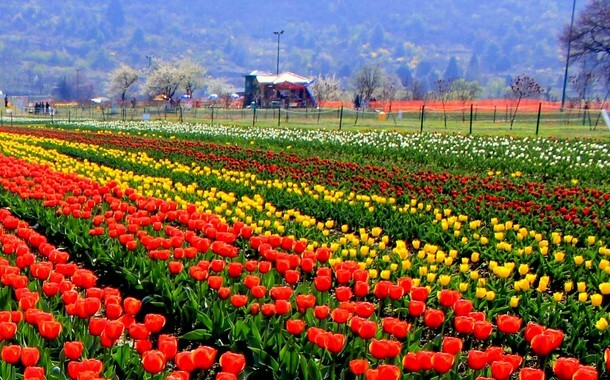 Here’s a first look at the efflorescent bloom of tulips.